Site Infected With Malware | How To Remove Malware? The Internet is a global marketplace where businesses across the globe reach customers in almost any part of the world. Sadly, it is also a place where cybercriminals lure unwary users into phishing scams and make them download malware on their computers. 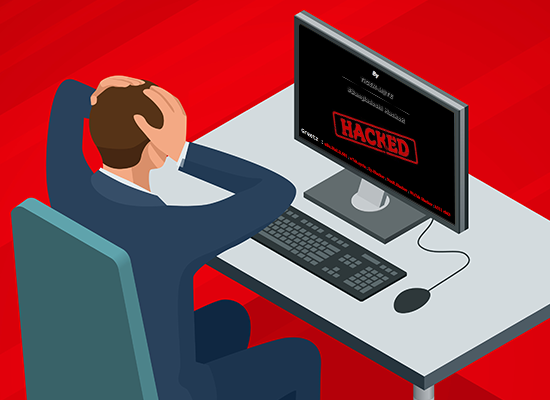 Cybercriminals are good at imparting a false sense of trust. It is commonly known as “social engineering,” and it is the fundamental trait in phishing emails that link to sites infected with malware. In most cases of internet fraud, scammers or hackers pretend to be a legitimate person or organization. They create seemingly legitimate websites and try to trick you into revealing your personal or financial information, such as internet banking details, credit card numbers, and passwords. Creating fake or scam websites is one of the most common methods used by cybercriminals to lure unwary users. In some cases, scammers change their tactics to avoid being caught and make the recipient believe the scam is real. If you inadvertently click on the links provided on a fake website, it may launch a Trojan that installs a keystroke logger on your computer or spyware that records your internet activities. Keylogger malware can capture everything you type, including passwords. The link that you click may also redirect you to a fake bank website that asks you to enter your personal information. The fake webpage may look identical to the bank’s real homepage since the scammer would have copied files from the actual bank website. However, when you try to log into your bank account, you may be prompted for information that the real bank site never would. In most cases of phishing scams, scammers use modified URLs of the actual web pages. So, it is advisable to verify the URL of the webpage that you are visiting. Look for alterations in the URL such as hyphens. If you are visiting a real bank website, it would never ask for your debit card numbers and PIN numbers via email. Be wary of any email or website that asks for such sensitive information for login. Real companies or brands have a specialized team to check grammar and the accuracy of emails and website. If the site that you visit has poor grammar or a misspelling or misuse of the company name, be cautious and look for other clues to confirm your suspicions. It is advisable to avoid such websites. Apart from the signs mentioned above, make sure to look for padlock and HTTP in the address bar of your browser. If you see HTTPS and padlock, the connection is encrypted and secure. With those things in place, you can be confident that the site you are visiting is safe and your information is safe and secure. In an organization, Comodo Advanced Endpoint Protection (AEP) is an ideal solution to block malware containing websites. With its 'Default Deny' platform and containerization technology, Comodo AEP can block even the potent zero-day malware. Try Comodo AEP today!